A boy of 14 has been jailed for 15 months for running a cannabis farm in a flat in Hartlepool where police seized nearly £200,000 of the drug. The youngster, who claimed that he had been people-trafficked from Vietnam and forced to look after 168 plants for two months, will be transferred to a detention centre for illegal migrants after serving half his sentence. 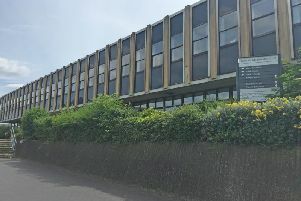 Prosecutor Christopher Wood told a jury at Teesside Crown Court that the Home Office had not accepted the trafficking story and he was not the subject of modern day slavery. The boy, speaking through an interpreter, said in evidence that his parents had died in separate accidents and that he worked on his uncle's farm in Vietnam looking after the buffalo. His uncle sent him to Russia with a passport where he lived in a container before he was moved to France and then transported to the UK in a container lorry. He claimed that the lorry was stopped by police in Warwickshire and he was arrested before being placed with social services. He said that he was contacted by men who transported him to the flat above a pizza shop on York Road, Hartlepool, and threatened with violence if he neglected the crop. Mr Wood said that there was no police record of the lorry incident. He said that the boy was asleep in a makeshift bed when police were let into the flat by the landlord at 11.35pm on July 26 last year, and they also found three mobile phones. Nigel Soppitt, defending, said there was no evidence that they had been used and there were no signs of him contacting anyone. The boy, now 15, pleaded not guilty to producing the Class B drug cannabis but jury found him guilty after a two day trial.